July 26, 2015 at 9:15 PM: A car is reportedly stalled and blocking the roadway at Tom Bell Road and Hwy 4 in Murphys. Use extra caution if headed in that direction. Five months after she was found unconscious and unresponsive in a bathtub, Bobby Christina Brown, daughter of Whitney Houston and Bobby Brown, died today. She was 22. She may have been taken off life support after the family was given little to no hope of her survival and that her brain had died. 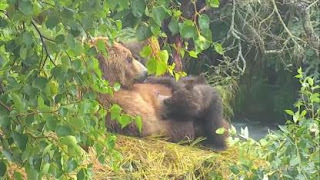 People around the world who watch the brown bears LIVE at Katmai and especially at Brooks Falls, are fascinated by a mama grizzly, who goes into the river to fish, leaving her four cubs on the bank to play. Then she will come up and feed her cubs regularly. She doesn't even seem to be upset that there are four of them to take care of. July 26, 2015 at 6 PM: A tree has been reported down on Hwy 49 and Bell Road in Plymouth. Use extra caution if in that area until a crew can be dispatched to remove it. July 26, 2015 at 5:45 PM: A traffic collision has been reported at Glenmore Road and Fairway Drive in the Pioneer area, close to Mace Meadows Golf Course. A witness stated that high speed was involved prior to the collision. No injuries have been indicated. One of the vehicles was apparently a brown pickup. Due to more accurate mapping, the Kyburz Fire is now listed by Cal Fire at 98 acres, less than half what was earlier suggested. It is now 80% contained. All mandatory evacuations are lifted and Hwy 50 is re-open in both directions. 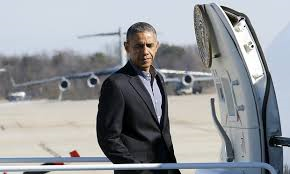 President Obama is the first sitting US President to visit Kenya, Africa. Kenya is the home of his father and the President made a joke about it saying "Some in the US think I'm here to look for my birth certificate." The large crowd loved it and laughed uproariously. In general, the people of Kenya adore our President Barack Obama. July 26, 2015 at 8:45 AM: A vehicle went off Hwy 99 and took out 40' of fence and posts near Hammer Lane in Stockton. Driver is trapped inside the vehicle. Emergency personnel is responding to the scene. Use extra caution if in that area. 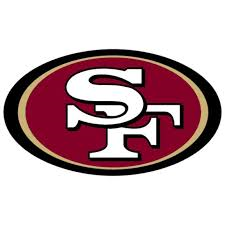 On August 15, 2015 at 5 PM, the 49ers will play in Houston for their first 2015 preseason game. August 23, 2015 at 5 PM is their first home game. It's against Dallas. Go Niners! July 26, 2015 at 6 AM: Authorities are seeking the public's help finding a raised 4x4 white Jeep Wrangler that was seen in the area of Gold Run/ Dutch Flat around 2:30 PM on July 25, 2015. It had no top and no doors. If you have any information please contact the Placer or Nevada County Sheriff's department.